Washington, D.C., our nation’s capital, is home to the federal government, national museums and memorials, and a thriving business center that extends into Northern Virginia and Maryland. From lobbyists and think tanks to foreign dignitaries and embassies, Washington is a city where the world’s movers-and-shakers gather to make change. 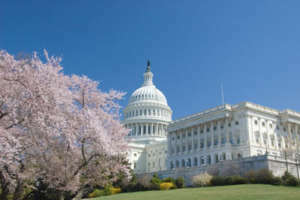 Successful individuals and affluent families from around the world flock to D.C. for the opportunities and international culture the city affords. Washingtonians are hardworking, political, worldly, and often in the public eye; they require household staff who understand the importance of discretion and are sensitive to cultural nuances. Recruiting and retaining well-trained, experienced domestic staff is a key element in the maintenance of a sophisticated, fast-paced Washington lifestyle. It is Pavillion Agency’s exceptional ability to understand and identify the priorities unique to each client that has kept us in business for more than 50 years. For decades, Pavillion Agency has provided an unmatched level of domestic staffing services that Washington’s elite have come to rely on. We are a one-stop shop for household staffing solutions. Our agency offers job placement services (permanent, temporary, or temp-to-perm), payroll processing, benefits consultation, and in-home staff training. Let us show you the Pavillion Agency difference!